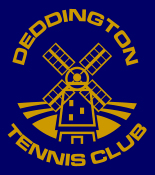 As a member of Deddington Tennis Club you get free British Tennis Membership, which includes entry into the Wimbledon Ticket Ballot. If you would like to have a chance of tickets for this year you need to opt in before 22nd February (you need to opt in each year). If you are not already a British Tennis member you will need to join first (no charge) www.lta.org.uk and then opt in to the Wimbledon Ballot (www.lta.org.uk/Members-Area/home/benefits/british-tennis-membership-wimbledon-ballot-opt-in/ ). It's also worthwhile ensuring that your club membership details include your British Tennis Membership number. 1. Click here to go to MemberMojo (our online Membership system. (you don't need a password). 4. If your BTM Number needs updating you can update it yourself. The more members opted in, the more Wimbledon tickets the club will be allocated. Once we have our allocation of tickets the club will issue you with a ballot paper listing the pairs of tickets we have been allocated as a club for you to complete indicating which tickets you are interested in (in order of preference). You must be a paid up member on the day you opt in and on the day of the ballot. So don't forget, if you want the chance to buy Wimbledon tickets opt in now!